We at Shop Floor Automations always aim to show appreciation for our customers. We offer discounts and free merch when customers fill out certain surveys, but we feel it’s not enough. Once a month, we want to take the time to highlight certain customers and what they are doing to change the modern manufacturing industry, as well as the day to day life of American consumers. 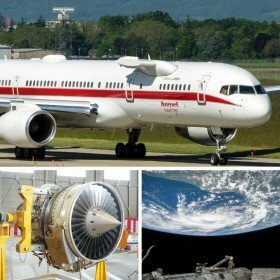 This Customer Spotlight Blog will be focused on Honeywell Aerospace. Their mission, via their website: “Honeywell Aerospace innovates and integrates thousands of products and services to advance and easily deliver safe, efficient, productive and comfortable experiences worldwide.” They work on a wide variety of products, such as business jets, airplanes, aviation defense tools, space travel, and more. Did you know? They hit their 80th anniversary of operation recently in 2016. Honeywell Aerospace has also kindly done a video testimonial for us about using our solutions, which you can watch here. Need software or hardware solutions for your manufacturing shop floor? Call (877) 611-5825 or chat with us on one of our various social media channels.